This post summarizes one of the things I most love about Orthodox spirituality. “Instead of condemning others, strive to reach inner peace,” sums it up best. “Instead of condemning others, strive to reach inner peace,” sums it up best. This quote is my favorite, too. I’m struggling to do so, but often fail. Looking back on my life as a “modern”, “free”, lutheran christian I have to confess how far off I was from God, how miserable my relationship with God was in many respects. Far from being perfect now, I try to follow the living, compassionate and philanthropic God. But when I see my friends still live “the old way” I lose my inner peace and there are thoughts and feelings of judgement and condemnation. Sometimes I think, this is my greatest sin today. How “to strive” rightly, to reach this inner peace, to become similar to the compassionate and philantrophic God? I guess the answer will be: pray and have patience (patience with your daily failure). What was your experience after leaving your former christian background. Where there also problems with friends, tensions, maybe separation because of lack of understanding for your new way? Thank you for this perfect basis for a New Year’s resolution and a new day’s effort for the rest of my life. I went to sleep on Jan. 1, 2008 thinking (repenting) of every short coming (known or unknown) to St. Seraphim’s dictum. I don’t know why such simple words come as a revelation, but they certainly shine light upon a life often spent condemning, insulting, slandering, judging and offending others. It strikes me that when I take this approach toward my brothers, sisters and strangers it always reflects upon a bitter heart that needs warming through prayer, but also by keeping my mouth closed … so hard for one reared to be opinionated about almost everything. God forgive me! Most of my experience with former Anglican colleagues was simply that the relationships ended (sort of). But this had already started some years before. I simply felt alienated and not at home. I felt a sadness, indeed great grief, after my conversion, that I think was the grief of many years living apart from where I should have been – harboring anger and judgment – perjuring myself from time to time – and embracing delusion on a not to infrequent basis. I have not felt resentment particularly since I left, mostly because I feel I was so like everyone else that I cannot judge. Many of them may be much further along in the Kingdom than I will ever be – God only knows. I know that I have needed much healing in the years since my conversion. I largely remained silent and only began to write and speak a little over a year ago. It needed time. The first telling of the story of my conversion in print was by invitation on Pontifications, and in recording, last year at the Colloquim for Anglicans on Orthodoxy (the talk is in Ancient Faith Radio archives). Writing this blog has been among the most therapeutic things I have done, which is probably why I write daily. It has helped me keep my focus and remember my heart and to clarify and even simplify my understanding. Complicated understandings are usually not helpful. I have said to others that I only write about what I know – thus severely limiting my range of topics. I answer questions when I know the answer, but refer elsewhere when I don’t. As I have posted here several times already: I am an ignorant man. I generally recommend the biography by Valentine Zander published by St. Vladimir’s. There are others. I have reservations on the biography by Lazarus Moore. Though it is longer, I think it includes some material that would have been better left out. Not every word from a saint is infallible. I think the choices and presentation in Zander are more to the point and better suited for general reading. The conversation with Motovilov and St. Seraphim is probably the most important document from his life and is found in every biography I have seen. You said, “Looking back on my life as a “modern”, “free”, lutheran christian I have to confess how far off I was from God, how miserable my relationship with God was in many respects.” Mine sounds very similar to your situation, and instead of “lutheran” you could put “presbyterian” for my story. All the former calvinists I’ve corresponded with through email that are now Orthodox say something like, “I was a calvinist…but got better.” And what a slap in the face that type of comment is, because you know as well as I, the focus is so heavily on “grace alone” in reformed circles that there is complete license to accept your habitual sins and to not fight anything. The leaders in our churches would say “no, grace alone through faith alone does not lead to license,” but I would disagree. And I could show them countless lives that have been dejected and collapsed under the pressures of fighting the good fight. The imbalanced system of thought that the reformers gave us simply does not do well when it comes to spiritual battle. So I would say you are in a better place now than where you were (or weren’t). I may have completely missed the point of your post, so, forgive me if my babblings had nothing to do with your response. I have a tendency to do that on blogs; misread and read too much into people’s posts. my problems are with friends who belong to the (luth.) church but say things like: “I also have my faith, but because of it I don’t have to ‘run’to church every sunday”. Once in a quarter of a year is enough. No bible reading, no prayer (except “I feel like praying”), no study of christian subjects. Or: Faith and the church have nothing to do with each other. The church is an instrument of power to rule others. But the call themselves christians. I can remain silent when I don’t agree. But then I lose my inner peace, become agressive. But when I would speak, I certainly would hurt them. And who am I to judge their faith? Those sorts of conversations are difficult, but could be easily replicated by some Orthodox “believers.” This is not the fault of Lutheranism, etc., but simply sin which is everywhere. If Orthodoxy had found the fool proof cure for all it would be a different world. Orthodoxy is the Truth, indeed, but not everyone wants the Truth, not even all of the Orthodox. Thus, I think, we should not judge others or attribute their failings to their lack of being Orthodox. They’re just people in need of a Savior. I believe that the fullness of salvation is to be found in the Orthodox Church – but not everybody in the Orthodox Church wants the fullness of salvation – and not everybody outside it wants less. yes, father, I agree. There can be people who are not orthodox, but who love God from all their heart (and the other way round). We always have to live with people around us, who maybe deceive themselves. By this God gives me the exercise to love, to be friendly and to show mercy. How St. Seraphim of Sarov puts it: to be gentle, to be kind. “With the Feast,” as the Russians say — today being the Feast of St. Seraphim. Thanks for posting these quotes from him, Father! 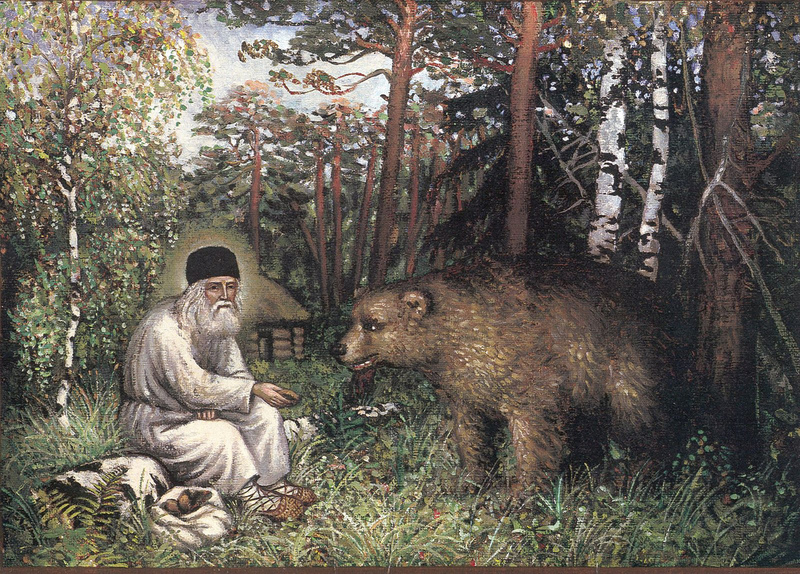 I love St. Seraphim, especially knowing his gentleness with animals. I have a special needs cat who lives on my fridge. She is so scared of everything. Each time I leave the house–especially on Sundays–an all day thing of driving to Murfreesboro, Tn .from Kentucky, I ask St. Seraphim to pray for our dear Katie. She is 13 years old and so special to me. She still has a spark of light in her eyes. I don’t want to put her down just yet. Last Friday, I had breast cancer surgery. Before I left for the hospital, again–I asked St. Seraphim to pray for her. We have animals in the neighborhood who have to stay out in the cold. Each day , I ask him to pray for them, also. Of course, I ask him and all of the saints to pray for my human friends, too. Thank you for the time and dedication you obviously spill into this blog. I’m a curious evangelical, trying to learn all I can about Orthodoxy. Over the past couple of weeks, I’ve begun to realise the deep riches I’ve been missing, but there’s still so much about Orthodoxy I don’t understand. So, in that context, I just wanted to say thank you for your illuminating posts. The point of view regarding other denominations of Christianity that you expressed above in reply to Hartmut is very interesting. Do you have any suggestions for resources I could read to understand better? Or failing that, I’d love to hear anything else you have to say on the topic. I’m not sure of any resources that would spend much time on the topic. There are a few things I’ve seen on Orthodoxy and the Non-Orthodox, but they tend to be somewhat uneven in my experience. 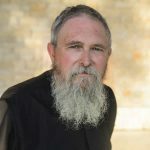 I believe that the Orthodox Church is the Church founded by Christ and that “true salvation is found in her.” Having said that – much that can be found in denominational churches (which have there own unique history, some with almost no history at all) is still consonant with the Orthodox faith. For instance, the doctrine of Trinity (though neglected or wrongly taught), the 2 nature of Christ (though again not fully appropriated in the manner that the Fathers taught), salvation through the free gift of God (though frequently stated in forensic terms which distorts its meaning). I could go on. But the historic presence of these doctrines is not simply because “we read them in the Bible.” Jehovah’s Witnesses read the Bible and don’t find those doctrines there, etc. The denominations that do find those doctrines there, are, to some extent, drawing on the received Christian Tradition of the Orthodox faith in order to interpret Scripture. This is good, even if, lacking the full context of Orthodox Christianity, they do not appropriate all or use what they have to its fullness. But none of us invented the messed up state of Christianity. We inherited it. Thus we should refrain from judging one another, but instead help one another sort through things and, where possible, come to the fullness of our inheritance in Christ. In no other place of the Christianity is the fulness of the faith “once and for all delivered to the saints” preserved without distortion and change. Again, as I noted, there’s no promise that a particular Orthodox Christian will be a perfect example of what he/she should be (who is?). We believe that Christ promised to preserve the Church, and that He has, but Orthodoxy has been preserved through untold centuries of suffering and persecution (and continued distortions from many hostile powers). They yielded more martyrs in the 20th century than all Christian centuries before added together. I would recommend Met. Kallistos Ware’s The Orthodox Church, or Schmemann’s Historical Road of Eastern Orthodoxy as good historical introductions. I have links on my sidebar to many good Orthodox sources on the net. There are more than I’ve listed – I mean to add them – but I also try to read them for accuracy before I recommend them. I look forward to having you as a reader and to your comments, observations and questions. May God bless your new year! Kitchen furniture like the cabinet is also obtainable in various selections associated with the material and shade. The harder time you spend with your immediate family (that’s, the children and the parents) the greater time you have to iron out any stressful issues.